Arsenal goalkeeper Petr Cech has deemed the Gunners’ 4-0 loss to Liverpool as unacceptable. The Gunners looked simply off the pace at Anfield as they failed to collectively to show up through the entire 90 minutes. 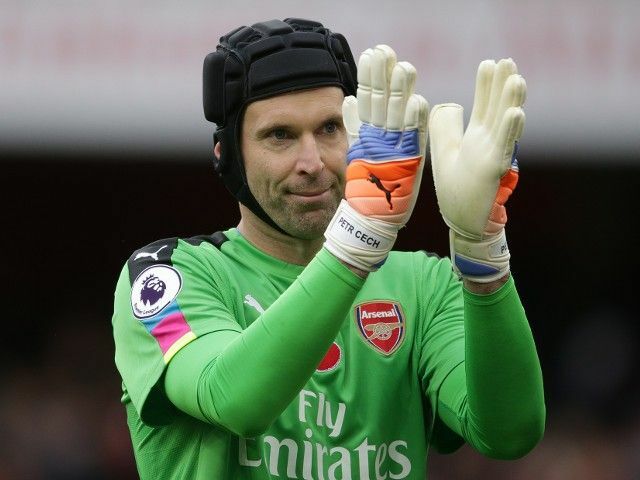 Cech was the only player who appeared to show some resistance against a flamboyant Reds’ attack which could have had a few more goals barring the 35-year-old’s heroics. Despite the gruelling defeat, Cech is confident that the club can get back in their title race as it is still early in the season. The former Chelsea man added that he sees the club’s chances of lifting the English crown in the future, and this is the sole reason which has kept him going in his professional career. The defeat sees the Gunners positioned 16th in the league standings, but manager Arsene Wenger has all to do after the international break in order to close the gap on league leaders Manchester United, who are already six points ahead on the table. Arsenal face Bournemouth at home in their next league fixture, and there is likely to be a mixed mood at the Emirates with Wenger under pressure to perform. The Frenchman inked a fresh two-year contract with the club earlier this summer, and he may just go on to regret it, should things not go his way in the coming months.